Or the murmur of rain against your window. We’re a Homestuck-themed Minecraft server, where roleplaying canon characters is encouraged! The story revolves around surviving, rebuilding and exploring on Earth C. It’s meant as a more relaxing alternative to purely text-based roleplay, and everyone here is super welcoming and friendly. 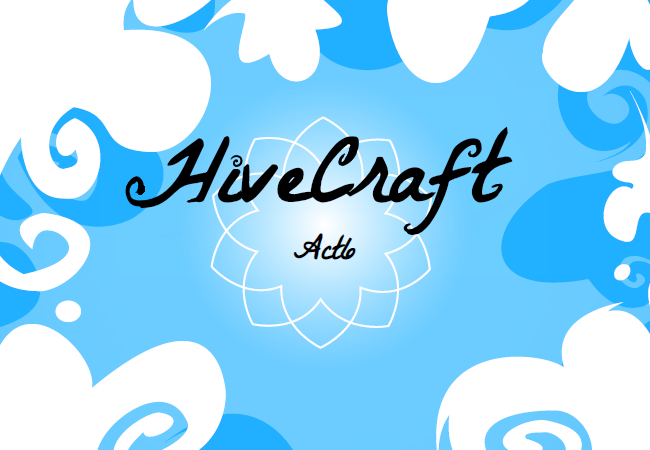 Come roleplay with us while playing Minecraft with a bunch of Homestuck-themed addons, including an alchemy system, custom mobs, and frog foraging. We’re whitelisted, so you’ll have to post an application to our discord to join. Will make your text look like this! <VRISKA> Will help us identify you! To apply for a character, you will need to fill out the application in the section below, and post it to our discord. Once your application has been accepted, you will be whitelisted and ready to join the server. The character you apply for must be on our character list, we don’t allow OCs or hiveswap characters, sorry. Once you take a character you have 2 DAYS to get on the server as them. Once those days are up, the character is free again. To keep a character reserved, you need to log in for at least 3 hours per week! If you’re not able to do this, your character will be opened up again for anyone to take. If you’re gone for too long, you’ll be unwhitelisted and will have to reapply to keep playing. If you get unwhitelisted due to inactivity, you will have to wait a week before reapplying. If you need to take an extended break for any reason, tell a mod to have your character held for you. You must use a skin of your character! Once you log on, you will need use the /nick and /chatcolor commands to set your character’s name and text color. See the chat formatting section if you’re unsure about how to do this. Be nice! If you cause trouble here, you won't make it on the server. That includes limiting NSFW content and vulgar remarks to something tasteful. Don't take stuff out of chests that aren't yours without asking, if you take crops that aren't yours replant them, etc, etc. Be sure to ask for permission OOC before killing or griefing a player IC. Don’t start drama OOC. Just don’t. Fill out this application and post it on our discord. What character are you applying for? 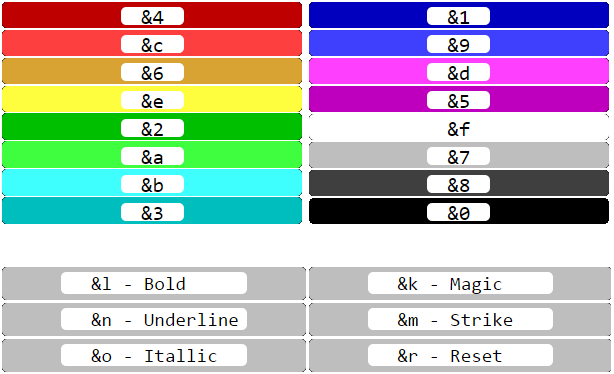 Please show us how you would /nick your name and /chatcolor for that character using the color codes shown in the tip section. Do you understand the rules in their entirety? Name a troll with 8 pupils.